A once-in-a-lifetime opportunity. Two Puamana direct oceanfront properties are combined into one spectacular expansion creating a single level home perfect for entertaining and watching the sunsets and surf. 136 3&4 Pualei drive features a spacious living area with high vaulted ceilings, a fireplace, and an open kitchen all facing the Pacific. The 440 square foot private patio and outdoor bar area provide panoramic island views. This home features 3 en-suite bedrooms plus a guests' powder room. The oceanfront master bedroom features a fireplace and an adjacent spa tub, spacious make up area and a walk in closet with cedar lined walls. Enter this home through high Koa wood doors and a waterfall wall. Two TMKs are being offered: 2-4-6-32-19-0000 and 2-4-6-32-18-0000 which allows 2 covered parking spaces and 2 uncovered. Other highlights include several outdoor storage areas, a laundry room with a refrigerator and a reverse osmosis system. Puamana is a 30 acre gated community five minutes from Lahaina Town. 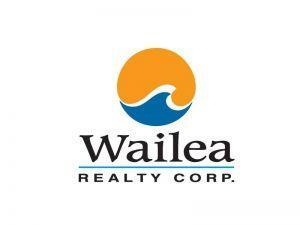 I am interested in 136 Pualei Dr, Lahaina, HI 96761 (Listing ID # 381637).